Amish Wagon Works: Time for Summer Fun! It's the first day of summer, and that means that the trip to the beach is right around the corner! Pack up the picnic blanket, the sand toys, the sun umbrella, the beach ball, the inner tubes...and don't forget an Amish-made beach wagon to carry it all in! 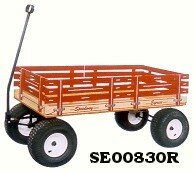 These wagons are designed for heavy-duty work in the sand, and can be used for hauling supplies or children. They come in a variety of colors (including pink), and the big air tires make off-road hauling a breeze. 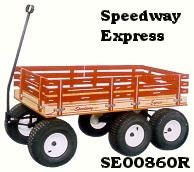 Speedway Express Wagon with 24'' x 48'' bed. 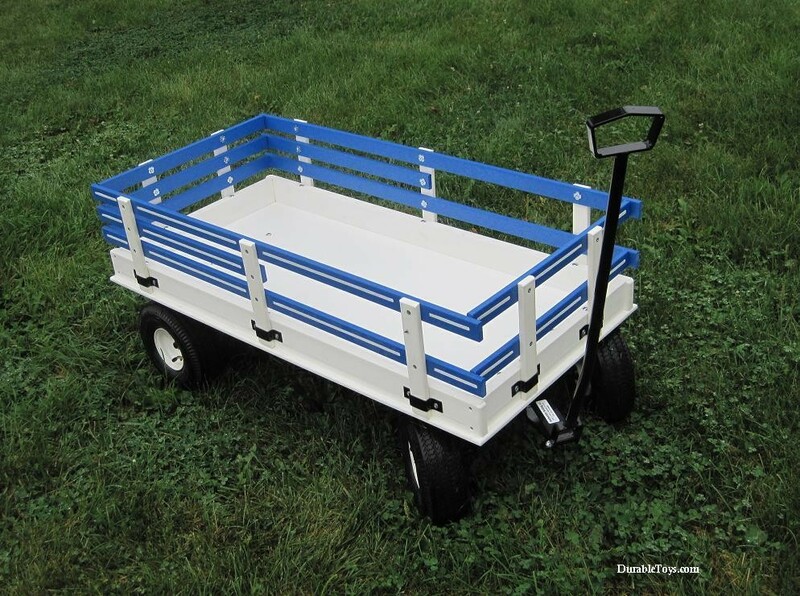 Hochstetler Plastic Beach Wagon with a 23" x 46" bed. 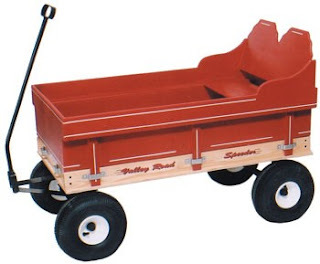 ﻿ These wagons are hand-crafted by the Amish of Lancaster, PA, and built to the highest standards of quality and durability. Most of them have a carrying capacity of over a thousand pounds, and there are a variety of accessories, such as wooden seats and cooler racks, available for the various models. 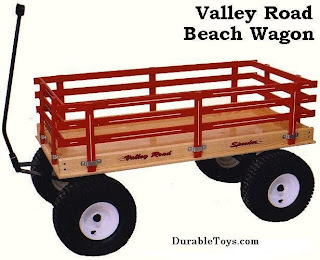 Valley Road Wagon with bench. Speedway Express Wagon with cooler carrier. ﻿﻿ Get your beach wagon for your summer fun today!